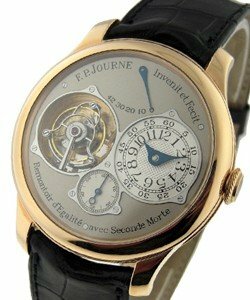 Francois-Paul Journe graduated from Watchmaking school in Paris in 1976 and began a career that is today at the pinnacle of watchmaking. 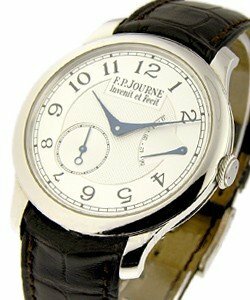 His inventions and innovations are the work of creativity and mastery and he has earned numerous awards for his breakthrough inventions of complicated mechanisms. 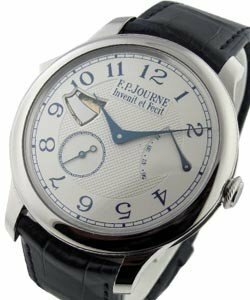 A true manufacturer (producing virtually all of the watch components and based on movements exclusively his creation) his brand has grown to great prominence in less than 20 years. 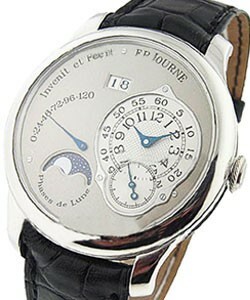 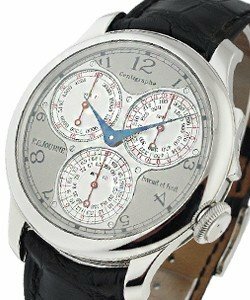 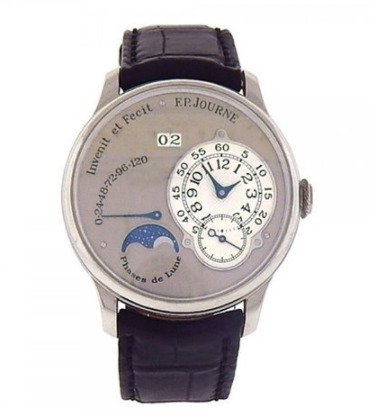 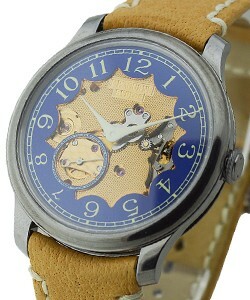 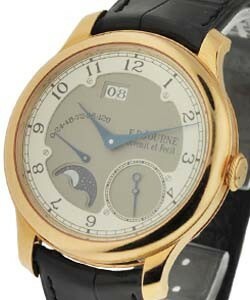 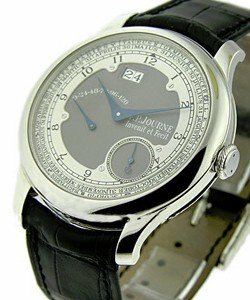 There are a number of current collections of FP Journe luxury watches. 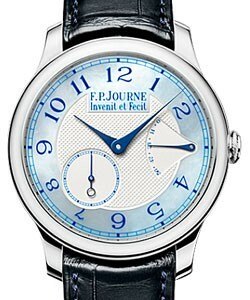 The 'FP Journe Souverain Collection' includes the 'Souverain Chronometre Bleu', the 'Chronometre Souverain', the 'Centigraphe Souverain', the 'Chonometre a Resonance', the 'Tourbillon Souverain', the 'Repetition Souverain', and the 'Sonnerie Souveraine'. 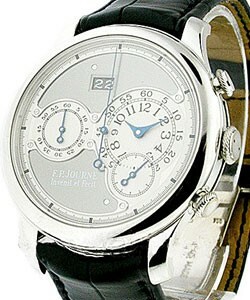 These watches feature a number of intricate complications as indicated by the name of the collection. 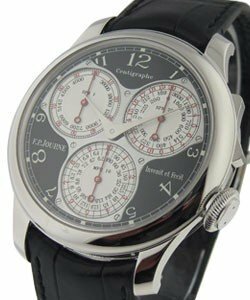 With a stunning look and easy to read dials, complications are simply a matter of exquisite design. 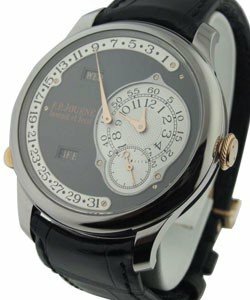 FP Journe luxury watches include the 'Octa Collection' with the famous 'FP Journe Octa Calendrier' which is the first wristwatch that includes an annual calendar integrated with a large date as well as a 120 hour power reserve. 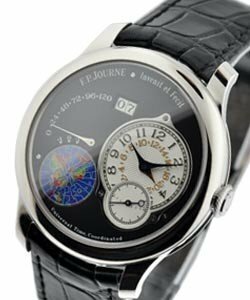 Other models in the 'FP Journe Octa' line include the 'Octa Automatique Reserve', 'Octa Automatique Lune', 'Octa Reserve de Marche', 'FP Journe Octa Lune', 'Octa Divine 36', and the 'Octa Divine 38'. 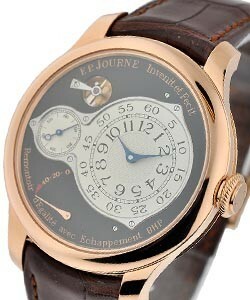 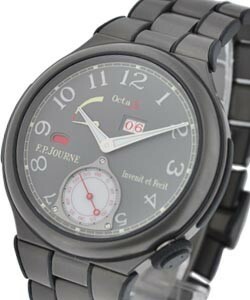 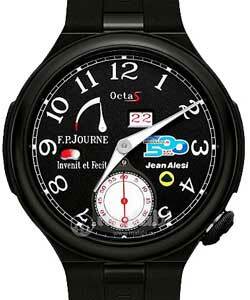 The 'Octa Divine 38' is also included in the 'FP Journe Jewelery collection' along with the 'Tourbillon Souverain'. 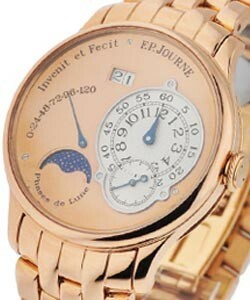 These exquisite timepieces are often studded with diamonds and use and stunning precious gems. 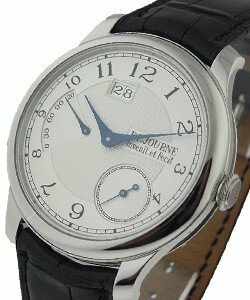 When considering these amazing collections, one must not forget the Limited Series which includes the 'FP Journe Vagabondage II' which is exquisite and stunning, as well as the beautifully complicated 'Octa Perpetuelle' with its perpetual calendar. 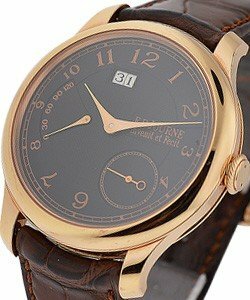 The 'FP Journe Exclusive Pieces' collection includes the 'FP Journe Boutique Collection' and the 'Black Label Collection' which is also limited to very high end sellers and the FP Journe luxury watches boutiques. 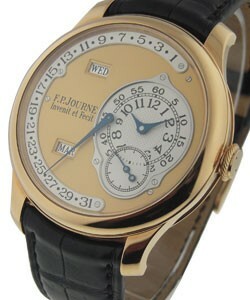 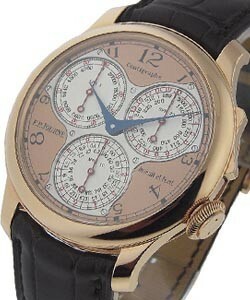 Other collections include the 'FP Journe Limited Series' and the amazing 'FP Journe Brass Movements'. 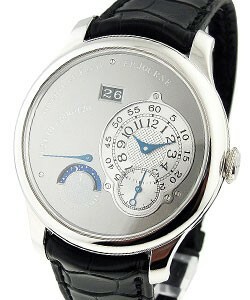 All of these watches feature simple yet elegant lines and maintain the round feel of the original pocket watches. 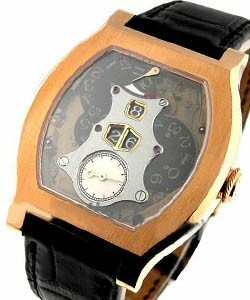 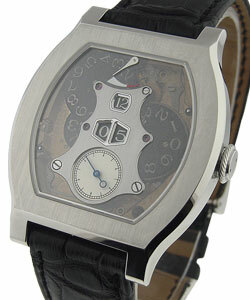 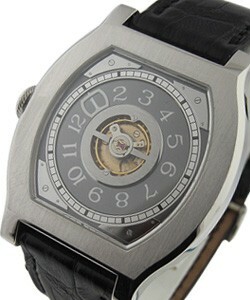 The movements are exclusive and the materials are top quality; just what men are looking for in a luxury watch.